Nearing to 50s, Salman has been working on multiple scripts and is one of the highest paid Bollywood actors currently. He has received a huge relief from the 2002 Hit and Run Case which made him and his family quite delighted. Salman is even getting ready for marriage soon says sources and he has been trending from sometime. Salman has come up with Kick early this year which happened to be an action entertainer laced with loads of entertainment. Top producer Sajid Nadiadwala turned director with the movie and he even produced the movie on his own banner. Jacqueline Fernandez played the female lead in the movie and Kick ended as the biggest hit of Salman Khan after its release. Salman surprised everyone with his performance and dare devil stunts which are the major highlights of the film. Kick was the remake of Telugu blockbuster Kick starring Ravi Teja and Ileana D’Cruz directed by Surendar Reddy. The movie grossed Rs 400 crores worldwide in its full run. Salman teamed up with Kabir Khan for a movie titled Bajrangi Bhaijaan and the movie happened to be an emotional entertainer. The film explains the relation between the neighbouring rival countries India and Pakistan. Salman Khan and Kareena Kapoor Khan played the lead roles in the movie and the movie surprised everyone with the path breaking collections. Bajrangi Bhaijaan collected Rs 700 crores worldwide which is the highest among Salman Khan’s films. Salman teamed up with Sooraj R Barjatiya after 20 years for his next movie PremRatanDhanPayo. This family entertainer showcased Salman in two completely different roles as Vijay Singh and Prem Dilwale. Sonam Kapoor played the female lead in the flick and Himesh Reshammiya composed the music. PRDP stayed strong in the multiplexes for two weeks and the movie impressed the family audience. 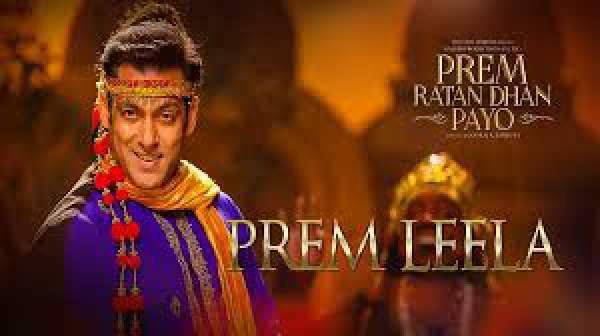 PremRatanDhanPayo collected Rs 440 crores in all the territories of its release in 35 days which happened to be decent. Though the movie had enough flaws and a boring second half, Salman carried the film on his shoulders. PRDP has been a decent grosser on the whole and it has been made on a budget of Rs 200 crores worldwide. Sooraj R Barjatiya produced the movie on Rajshri Productions banner.